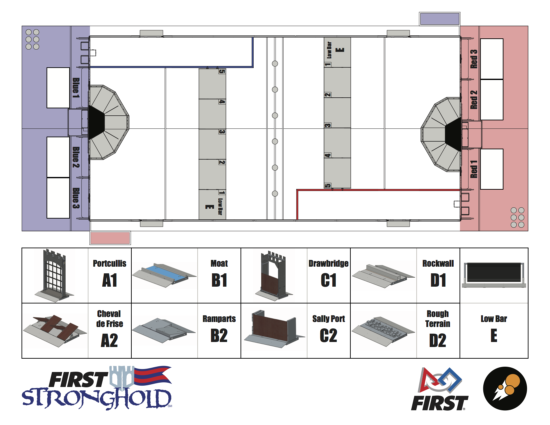 Team Neutrino creates a strategy sheet to help plan and prepare for matches with alliance partners. The 2016 sheet is available below. We laminated our sheet and put it on a whiteboard. The defenses were printed and glued on to magnets so that they could be rearranged. 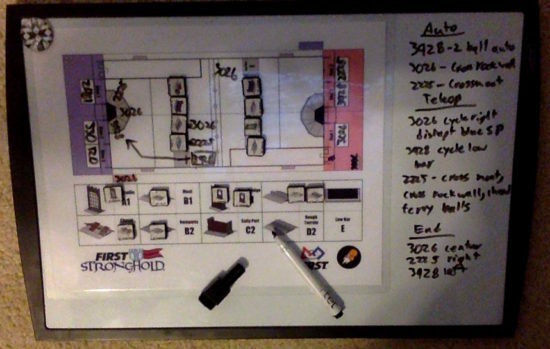 We could write and draw our plan with a dry erase marker.